When it comes to delivering the KM culture change, one of your most powerful weapons is a collection of stories, showing real value being delivered through knowledge management in your own organisation. These stories will counteract the common counter-argument of "it will never work here", and will give people a clear that KM will work here, and will deliver value to "people just like you", in a context very similar to yours. The best stories are those told by the people themselves, explaining how KM has helped them. We have a collection of over 300 such stories now, and it's still growing. 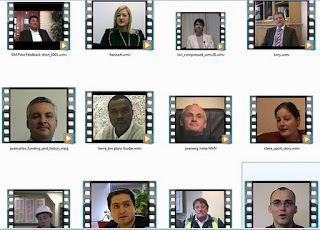 So as a KM practitioner, make sure you have a digital video camera, and any time you have a successful pilot, or hear of a successful application of KM, then go and interview the people concerned. Get their feedback on film. Capture their stories. You will find these of inestimable benefit when it comes to convincing and enrolling others.